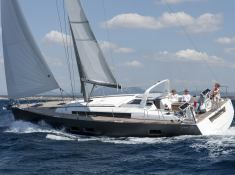 This sailboat Oceanis 55, available for rent in the Virgin Islands from Tortola, is able to receive until two lovely families in total comfort and safety due to its capacity of taking on board up to 10 passengers. 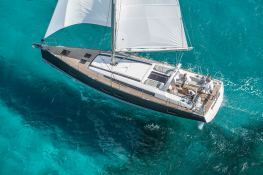 Available in British Virgin Islands, this bareboat sailing yacht Oceanis 55 (2 single and 3 double cabins), built in 2014 by Beneteau, is capable of hosting up to 8 guests. 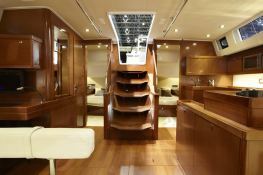 Further more, and for a optimal sailing charter experience, Oceanis 55 comes with air conditioning, electronic on board, equipped galley and generator. 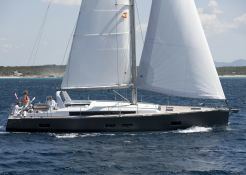 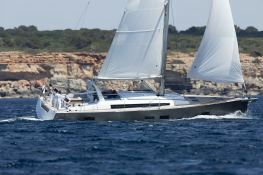 This sailing yacht is available for yacht charter with a base price of 6 400 $ (approximatly 5 675 €).